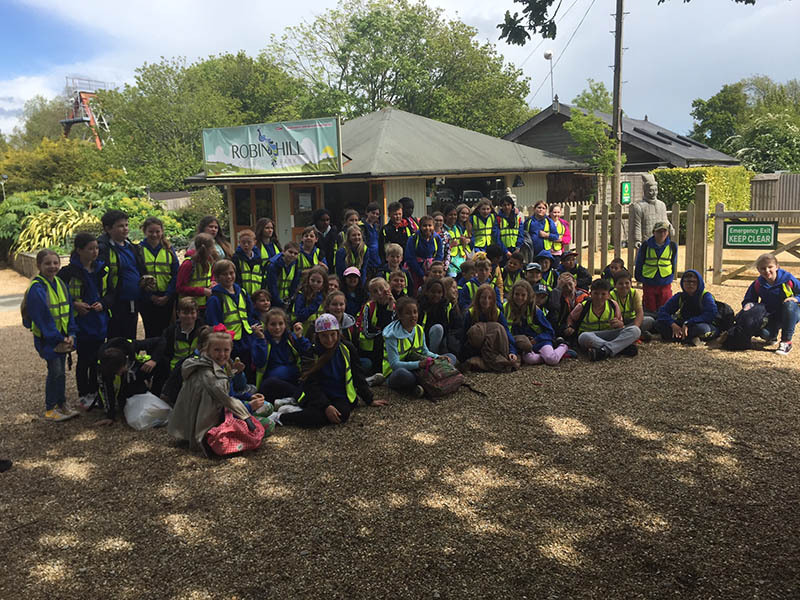 As you know our year six pupils will be setting off for the Isle of Wight on Monday 18th May 2015. 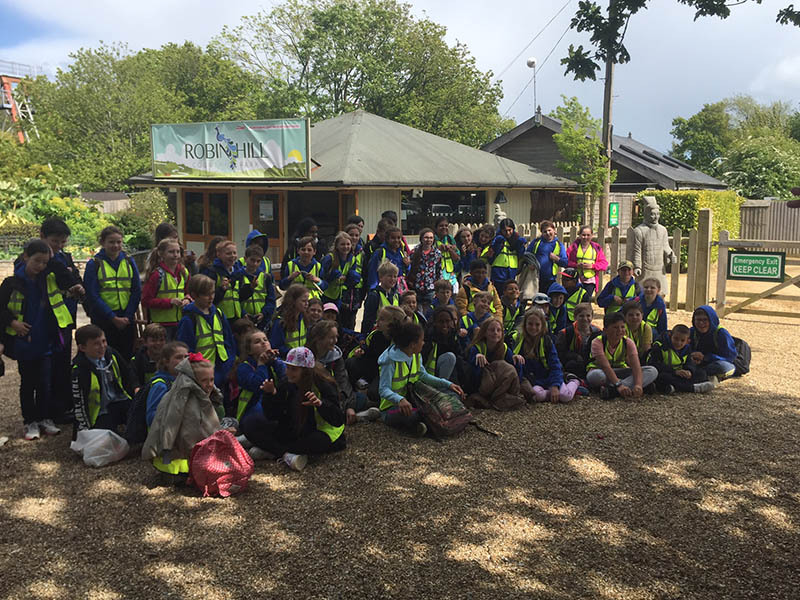 Whilst they are away on their amazing trip, teachers and staff will be keeping us all up-to-date by sending through short news snippets and pictures on a daily basis. Another early start today heading for Colemans farm at 10am. 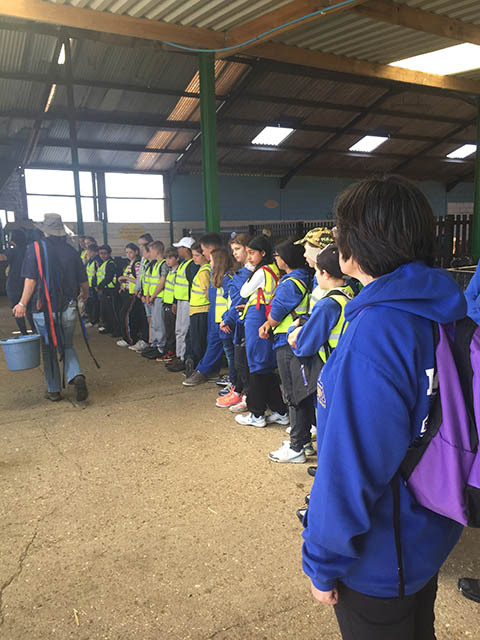 We were guided around the farm and told lots of information about the animals. We met sheep, goat, pigs and rabbits. We were given the opportunity to feed the lambs which were only a few days old. The children found the lambs very cute and some children wanted to bring the baby lambs home on the ferry. The children had lots of fun in the play barn as well as being sprayed by the sprinkler on the tractor ride. 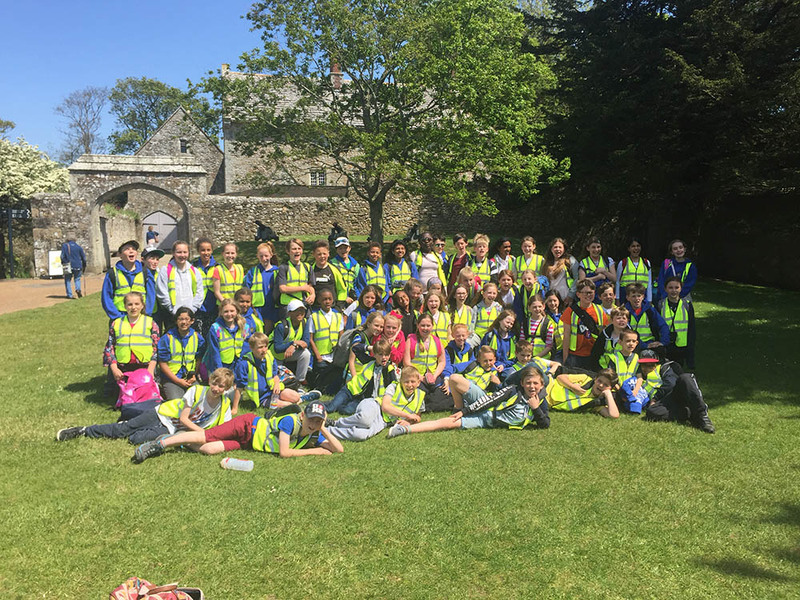 After lunch at the farm, we made our way to Carisbrooke Castle where we enjoyed walking round the castle grounds in the sunshine, followed by ice cream and meeting Jim Bob the donkey. We are now ready to pack our bags and head home and get our groove on for the disco. 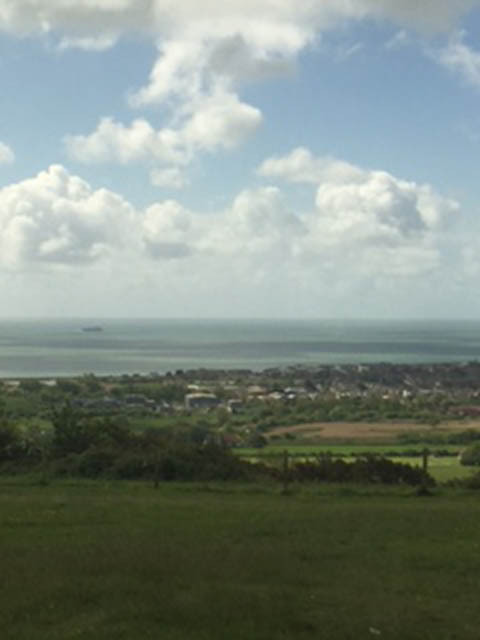 Today we started early with breakfast and set off for a walk in the sea air up Tennyson down. 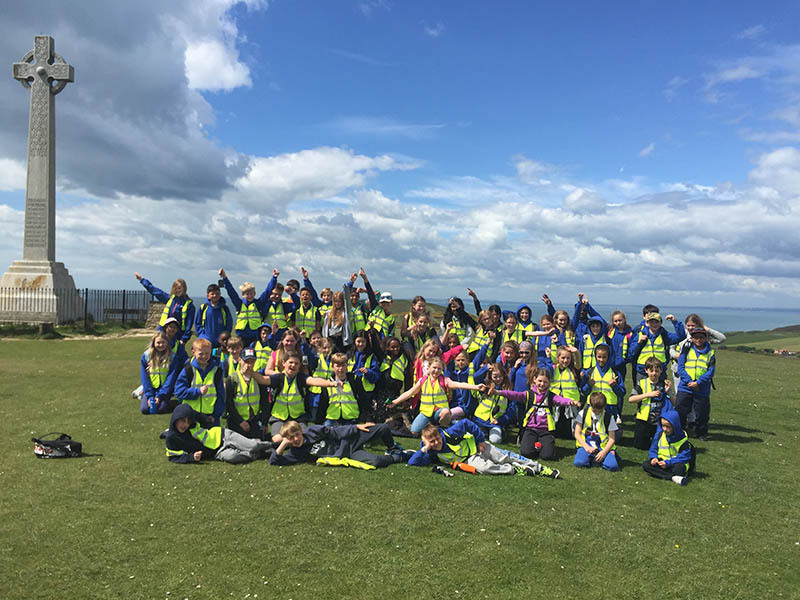 The children were proud of themselves when they made it to the top of the hill and rewarded themselves with a rest and a biscuit. We then carried on down the hill towards Alum Bay where we sat on the beach with a view of the Needles and we had lunch. 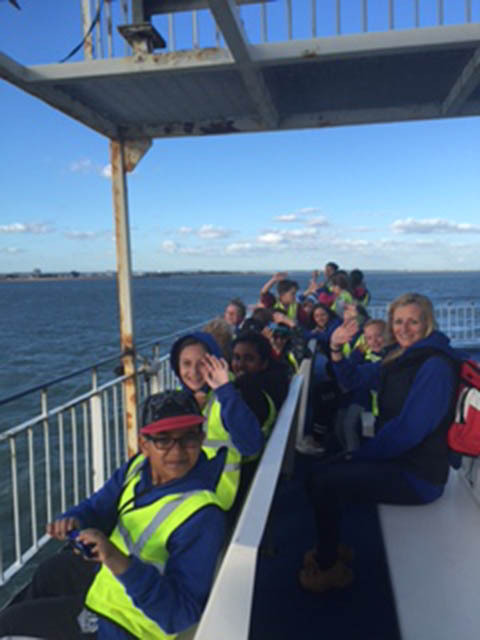 After lunch we went on a boat ride to the Needles and the children found out lots of interesting facts! The children got to do some shopping, visit the arcades and have an ice cream. We got back on the coach and headed back to the hotel for dinner. 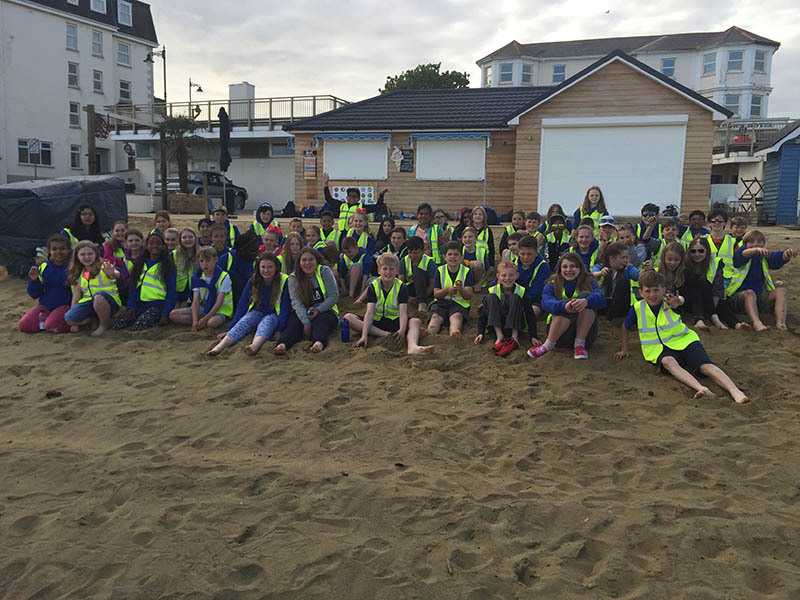 We finished the day off at the beach for a sandcastle competition and a game of football, we were all tired from our busy day and settled down for a story from Mrs Burgess. We woke up to a beautiful sunny morning in the Isle of Wight, and after a big breakfast we set off to Robin Hill on the coach. 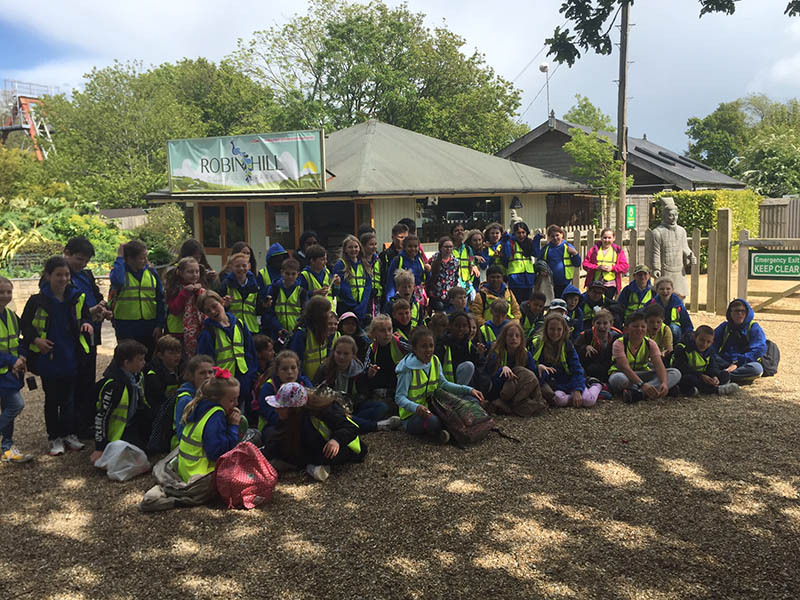 Robin Hill is a country park with rides and activity areas and the children took full advantage of this and had a wonderful time despite the occasional outbursts of rain. 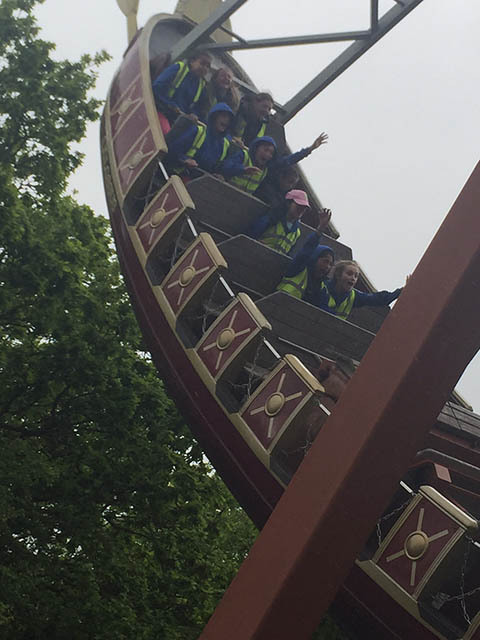 Activities of Robin Hill included, riding the toboggan, woodland walks, and a pirate ship ride which was the children’s favourite attraction. 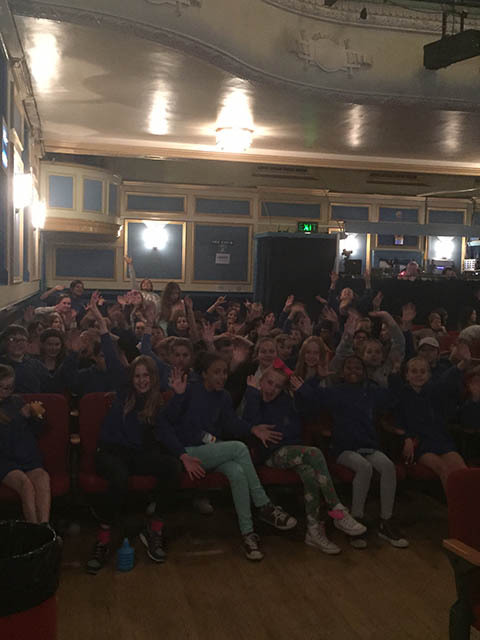 We then headed back to the hotel for an early dinner, and a quick turn around saw us arrive at the theatre an hour later. The show comprised of a pirate themed story mixed with modern pop music. 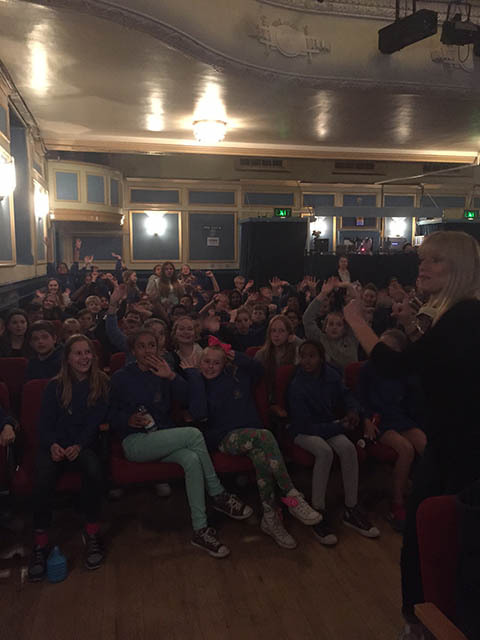 The children had lots of fun and there was a lot of audience participation. The children were able to dance and sing along. 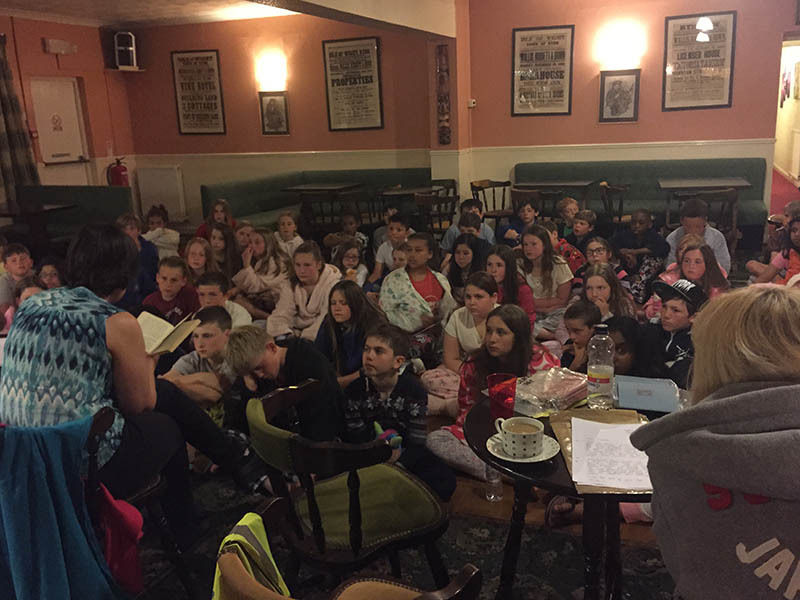 We are now back at the hotel, the children are writing in their diaries and we are all tired but we have had a lovely fun filled day and are looking forward to tomorrow. 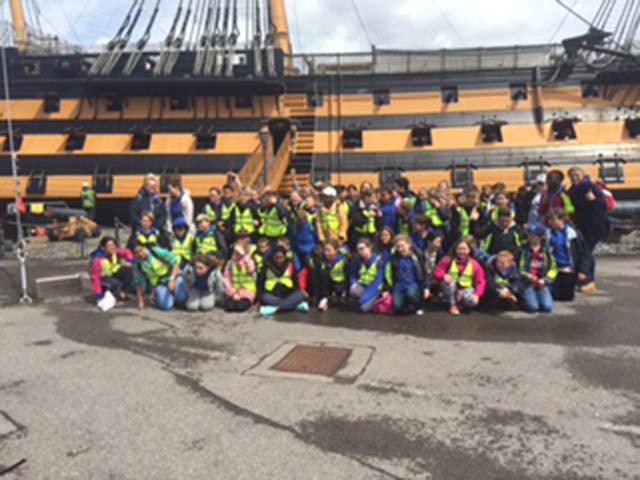 Hello there this is us by HMS victory yesterday and on the deck of the ferry crossing. We arrived late but safe. We enjoyed our dinner and all had a good sleep after all the fresh air, the teachers couldn’t believe there luck!! You will be glad to know that, after an interesting journey with the coach breaking down at Portsmouth, all have finally arrived safe and sound at the hotel. Please be assured that I am keeping a close eye on the coach situation and liaising with the company regularly. Lets hope the sunshine continues tomorrow! Annabelle Birleanu.